The youth are a prized population, for they represent the much talked about demographic dividend and so countries are supposed to nurture and help them develop. However, most approaches are instrumentalist, and see young people as mediums for prosperity. Or as a problem that needs a solution - through jobs, skills, education and even through settling down. This is what youth policies sound like: “empower the youth of the country to achieve their full potential, and through them enable India to find its rightful place in the community of nations”. But it skirts around the hard questions of young India’s identity. How do the youth see themselves in society? And what are their individual hopes and dreams? In contrast to childhood, the long coming of age years is less about protecting innocence, wonder and imagination and more about the hard knocks of figuring out a path. Stopping and starting, disillusionment, and loss are often part of that journey. In this episode, we take a look at what it’s like to be young. We speak to organisations that have been working with young people for decades and others that are at the forefront of developing ways to engage young people more meaningfully. We also take a look at a specific aspect of work with young people that is often neglected. While we want to shape an equal and peaceful society, programs that focus only on boys and men are few and far between. Their needs are different from those of young girls, and while they are often targeted in programs that reduce gender disparities, they still end up being instruments rather than the focus. Finally, we talk about aspirations. Because you never fully get over the loss of what you give up in your youth. These decisions come back to haunt you forever. The feeling of remorse, being haunted by what you didn’t do, couldn’t do. The choices you didn’t make and the paths you couldn’t take? What is the preventative of that disease? Being able to peacefully reconcile those choices and being able to accept yourself and those around your for the choices you made - that is what growing up is. "We are leaders!" - At the Youth Resource Centre in Bangalore. 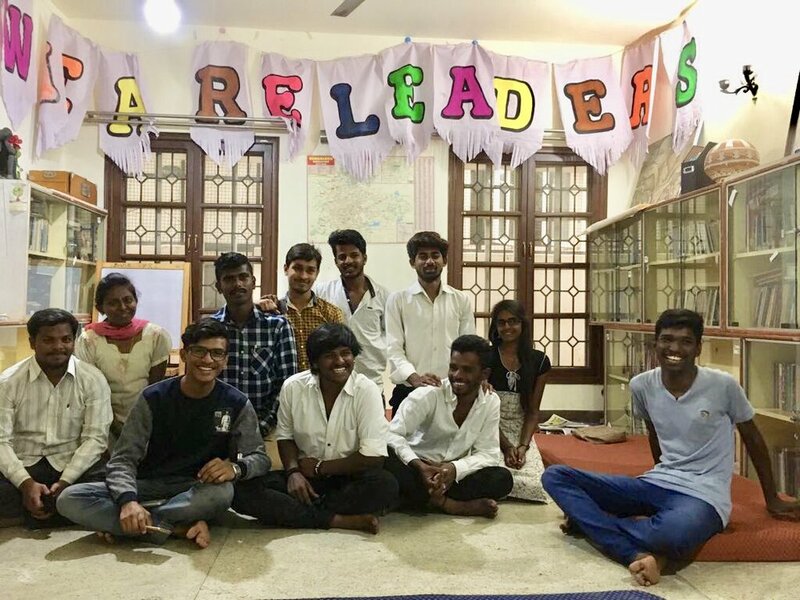 Thanks to Will Muir and Anjana Goswami from the Equal Community Foundation, Ishita Chaudhry and Manak Matiyani from the YP Foundation, Roshan Shankar, Rishii Rohra, Anita Ratnam, Nitya Vasudevan, Manjula and the young men and women from Samvada, and Krishna Byre Gowda. Sounds: Apple Music/Half Moon Bay Long and Acoustic Picking 7.